Kilcootry Barn has been renovated and refurbished to provide quality accommodation and catering facilities for tourists in an environment with many prominent cultural features. This in turn provides the farm with vital additional income. 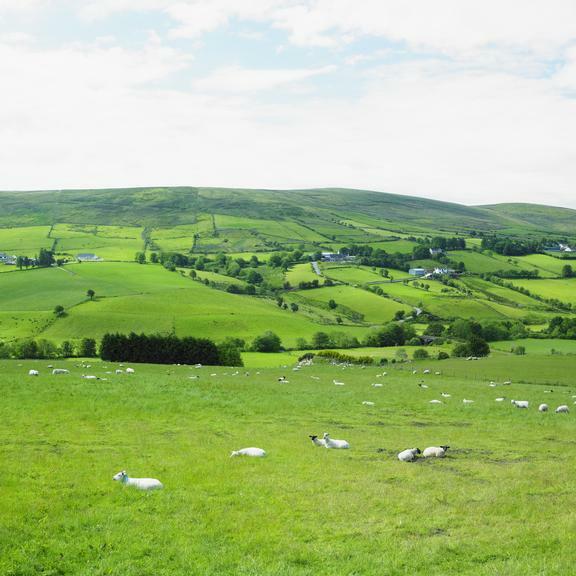 Anne Johnston has run her family farm, situated about 8 miles from the main county town of Omagh, for over 15 years. Anne recognized that her property’s beautiful setting, which includes extensive grounds, traditional barns and a coach house, had huge tourism potential. In addition to this she realised that there was a niche in the market for self-catered accommodation in the area and knew that, if developed, some of her outbuildings could be rented to create an additional income for the farm. The main aim of the project was to offer an additional income to the farm through diversification. This was to be done by enhancing the tourism potential of the family farm through the conversion of a 150-year-old barn into a self-catering unit. The result of this project is the stunning and spacious Kilcootry Barn, which has been awarded a five star rating from the Northern Tourism Board and can be leased out to provide an additional income for the farm. The Barn is beautifully furnished throughout boasting a host of original features including vaulted ceilings and exposed beams. It has all the rooms necessary with the required modern appliances. In addition there is a large landscaped garden with a patio area and barbecue facilities. There were several lessons learnt through this project. The first being that having a vision of the market helps to identify opportunities for diversification. Another was that adding value to existing historic features of old buildings enhances the tourism offer beyond the mere supply of facilities to the provision of quality cultural assets.